An international team of Astronomers have revealed an astonishing overabundance of very massive stars in the gigantic star-forming region 30 Doradus in our neighbouring galaxy the Large Magellanic Cloud. This discovery has far-reaching consequences for our understanding of how stars transformed the pristine Universe into the one we live in today. The results were published in the journal Science. The team used the multi-object spectroscopic capabilities of ESO’s Very Large Telescope  to observe nearly 1,000 massive stars  in the star-forming region 30 Doradus (Dor)  as part of the VLT-FLAMES Tarantula Survey (VFTS) . “We were absolutely surprised when we realised that 30 Dor has apparently formed many more massive stars than expected”, says the lead author Fabian Schneider from the University of Oxford (UK). The team used detailed analyses of about 250 stars with masses between 15 and 200 times the mass of our Sun to determine the birth mass distribution of stars in 30 Dor, the so-called initial mass function (IMF) . “We have not only been surprised by the sheer number of massive stars but also that their IMF is densely sampled up to 200 solar masses”, says Hugues Sana from the University of Leuven (Belgium), a co-author of the study. Until recently, the existence of stars up to 200 solar masses was highly disputed and the study shows that a maximum birth mass of stars of 200-300 solar masses appears likely. In most parts of the Universe where astronomers looked so far, stars are more rare the more massive they are and most of the stellar mass is in low mass stars. Since the pioneering work of Edwin Salpeter in 1955, the general consensus was that a universal IMF, the so-called Salpeter IMF, could describe the distribution of stellar birth masses almost everywhere. However, measuring the IMF of massive stars is extremely difficult – primarily because of the scarcity of such stars – and there are only a handful of places in the local Universe where this can be done. The team turned to 30 Dor, the biggest local star-forming region, which is about 180,000 light years away and hosts some of the most massive stars ever found. They determined the masses of massive stars with unique observational, theoretical and statistical tools. This allowed them to derive the most accurate high-mass end of the IMF to date from such a large sample of very massive stars and to show that massive stars are much more abundant than previously thought. “In fact, our results suggest that most of the stellar mass is actually no longer in low mass stars but a significant fraction is in high mass stars”, says Chris Evans from STFC’s UK Astronomy Technology Centre, the principal investigator of the VFTS and a co-author of the study. Stars are cosmic engines and, for example, have produced most chemical elements heavier than helium – from the oxygen we breathe every day to the iron in our blood. During their lives, massive stars produce copious amounts of ionising radiation and kinetic energy through strong stellar winds and supernova explosions. The ionising radiation of massive stars was crucial for the re-brightening of the Universe after the so-called Dark Ages  and their mechanical feedback drives the evolution of galaxies. “To quantitatively understand all these feedback mechanisms and hence the role of massive stars in the Universe, we need to know how many of these behemoths are born”, explains Philipp Podsiadlowski, a co-author of the study from the University of Oxford (UK). “Our results have far reaching consequences for the understanding of our Cosmos: there might be 70% more supernovae, a tripling of the chemical yields and towards four times the ionising radiation from massive star populations. 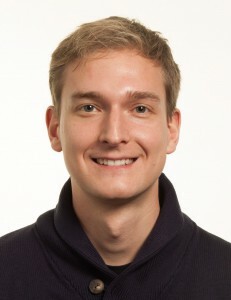 Also, the formation rate of black holes might be increased by 180%, directly translating into a corresponding increase of binary black hole mergers that have recently been detected via their gravitational wave signals”, explains Fabian Schneider the significance of their findings. The team’s research leaves many open questions, which they intend to investigate in the future: how universal are the findings and what are the consequences of this for the evolution of our Cosmos and the occurrence of supernovae and gravitational wave events? A massive star is often defined as having a mass of more than 8-10 times the mass of the Sun. This means that they can explode in spectacular supernova explosions at the end of their lives, thereby forming some of the most exotic objects in the Universe – neutron stars and black holes. Massive stars produce enormous feedback from strong stellar winds, supernova explosions and ionising radiation, and are thus very important for the evolution of our Cosmos. 30 Dor aka the Tarantula nebula is a truly gigantic and remarkable stellar nursery located 180,000 light years away in our neighbouring galaxy the Large Magellanic Cloud. If it were at the same distance as the Orion nebula, it would cover a size of 60 full moons on the night sky and would even cast shadows. 30 Dor hosts several record-holding stars such as the most massive and fastest spinning stars ever observed. It is a nearby analogue of extreme starburst events in the early Universe and thus a stepping-stone for the understanding of the distant Universe. The stellar initial mass function (IMF) describes the distribution of birth masses of stars and is thus a crucial ingredient for many areas in astrophysics. It provides the relative fraction of massive stars and predicts that only less than 1% of all stars are born with masses in excess of 10 times that of the Sun. Also, it is believed that most of the stellar mass is in low mass stars but the results of the IMF in 30 Dor might suggest that this is not always true. On average, forming stars with a total of 100 solar masses results in on average one star that will explode in a supernova. The so-called Dark Ages denote the period in the evolution of our Universe where no stars or galaxies existed. This epoch ended about 150 million years after the Big Bang when the first stars and galaxies were formed. The light from these stars and galaxies illuminated (and ionised) the Universe to its current state. Because of their extreme ionising radiation, massive stars are thought to be key players in this re-brightening of the Universe after the Dark Ages. 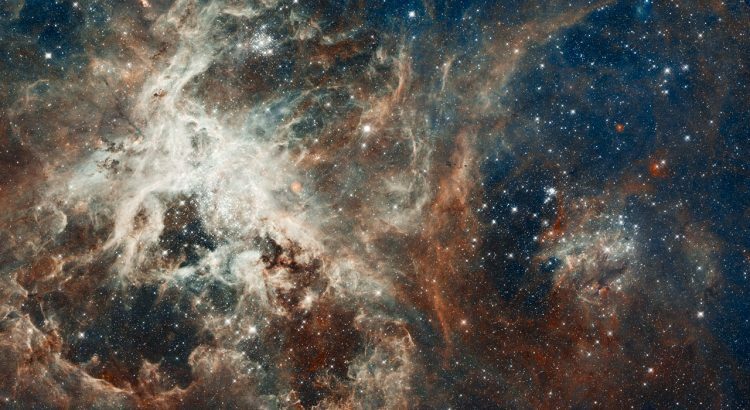 The results were published in the paper “An excess of massive stars in the local 30 Doradus starburst” in the journal Science on 5th January 2018. The team of astronomers consists of Fabian Schneider (University of Oxford, UK), Hugues Sana (KU Leuven, Belgium), Chris Evans (UK Astronomy Technology Centre, Edinburgh, UK), Joachim Bestenlehner (University of Sheffield, UK), Norberto Castro (University of Michigan, USA), Luca Fossati (Austrian Academy of Sciences, Graz, Austria), Götz Gräfener (University of Bonn, Germany), Norbert Langer (University of Bonn, Germany), Oscar Ramírez-Agudelo (UK Astronomy Centre, Edinburgh, UK), Carolina Sabín-Sanjulían (University of La Serena, Chile), Sergio Simón-Díaz (IAC, Tenerife, Spain), Frank Tramper (European Space Astronomy Centre, Madrid, Spain), Paul Crowther (University of Sheffield, UK), Alex de Koter (University of Amsterdam, The Netherlands), Selma de Mink (University of Amsterdam, The Netherlands), Paul Dufton (Queen’s University Belfast, UK), Maria Garcia (CSIC-INTA, Madrid, Spain), Mark Gieles (University of Surrey, UK), Vincent Hénault-Brunet (Herzberg Astronomy & Astrophysics, Victoria, Canada), Artemio Herrero (IAC, Tenerife, Spain), Rob Izzard (University of Cambridge, UK), Venu Kalari (Universidad de Chile, Chile), Danny Lennon (European Space Astronomy Centre, Madrid, Spain), Jesus Maíz Apellániz (CSIC-INTA, ESAC campus, Spain), Nevy Markova (Bulgarian Academy of Sciences, Smoljan, Bulgaria), Paco Najarro (CSIC-INTA, Madrid, Spain), Philipp Podsiadlowski (University of Oxford, UK), Joachim Puls (LMU München, Germany), William Taylor (UK Astronomy Centre, Edinburgh, UK), Jacco van Loon (University of Keele, UK), Jorick Vink (Armagh Observatory, UK) and Colin Norman (Johns Hopkins University, Baltimore, USA).